Canadian housing starts fell more than expected in March and building permits dropped sharply in February, according to data released on Tuesday that suggests the country’s robust housing market is cooling. Volatility in the housing data and an especially hard winter may explain some of the unexpected weakness in the data, economists said. But the figures still bolstered expectations that home building was starting to slow after a boom that observers have warned is unsustainable. Wood helps boost manufacturing numbers in B.C. Manufacturing sales in B.C. rebounded in January to stay within the elevated range observed since October. Shipments reached a seasonally adjusted estimate of $3.51 billion – a 3.3% increase from December, with unadjusted sales up nearly 6% from year-ago levels. January’s monthly rebound was led by increased sales of fabricated metals (10.6%), non-metallic mineral products (19.2%) and machinery (5.4%). Wood products grew by a more modest 3% from December but, given that sector’s large share of manufacturing output, represented 20% of the overall gain. WorkSafeBC is beginning a new round of safety inspections at B.C. 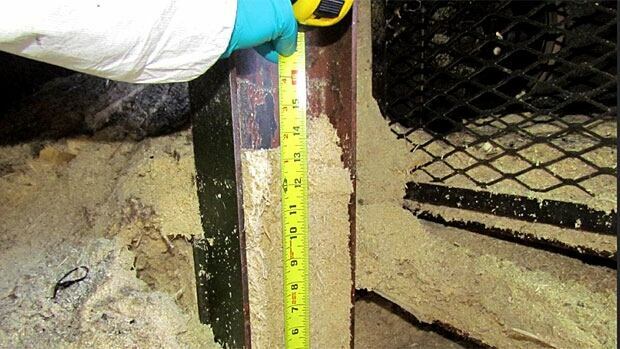 sawmills, after the last inspection blitz found dangerous dust levels in nearly half of the mills around the province. Four workers died and dozens were injured in a pair of sawmill explosions in Burns Lake and Prince George back in 2012. Investigations have pointed to an accumulation of dust in the mills as likely causes of the explosions. A cheque for $4,331 from WestCoast Home Hardware to the McLean Mill National Historic Site shows the City of Port Alberni’s subsidy to the mill could one day be significantly reduced, according to Neil Malbon. Malbon, McLean Mill’s manager and Jan Lavertu, who owns the local Home Hardware, entered into a partnership in 2013 to sell the mill’s Live Edge wood at Lavertu’s store so it could be more accessible to the public. The mill is operated by the Industrial Heritage Society and owned by the city, which provides the IHS an annual subsidy of $239,000. This report features a five-year supply/demand and price forecast, details assessment of the US moulding market segments by product/region, and a review of trends in domestic versus offshore supply by region. The analysis includes a review of the clear pine lumber supply as well as the moulding industry throughout the Southern Hemisphere as well as in the U.S. and Canada. Details on solid lineal, finger-joint and MDF mouldings by producing region and in terms of U.S. consumption are summarized historically and over the next five years. After more than a century in business, Bibler Bros. Lumber Company in Russellville was bought out by Canada-based West Fraser Company earlier this month. Terry Freeman, Bibler Bros. owner and president, announced the sale on Tuesday. “I am excited to see our company continue to grow and prosper with the West Fraser Company,” Freeman said. “West Fraser Company is impressed with the Russellville area, and I believe they will be an asset to our community.” West Fraser — with the purchase of Bibler Bros. — has four sawmills in Arkansas and 16 mills in the U.S. It employs more than 7,300 people. WASHINGTON — An effort to help the U.S. Christmas tree industry withstand the competitive pressure from artificial imports from China has taken a key bureaucratic step forward. The Department of Agriculture said Monday it will accept public comments until June 6 on an industry-backed plan to create a Christmas tree “check off” fund. Growers agreed among themselves to contribute 15 cents per tree into a fund that would be set up and overseen by the USDA. The money would be used to promote homegrown trees and pay for research to develop hardier trees, etc. Those who grow fewer than 500 trees a year wouldn’t have to pay the fee. 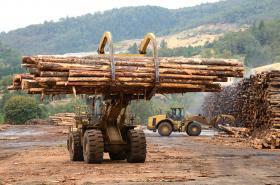 Kentucky’s timber industry expects a profitable year in 2014. That’s according to an economic impact report issued last week during a forest industry meeting in Louisville. The report details the timber industry’s almost 13 billion dollar contribution to state’s economy in 2013. It was more than three percent higher than 2011. The direct impact covers wood products like cabinets and flooring, employment, and trucking. University of Kentucky Forestry Professor Jeff Stringer helped compile the report and says trends are good for this year. RICHMOND, VA — Trout River Dry Kiln, sister company of hardwood flooring firm Trout River Lumber, will invest $5.5 million to build hardwood dry kilns in Nottoway County, VA, creating approximately 40 jobs. Trout River will open nine new kilns with a capacity of 100,000 board feet each, to dry “green” lumber down to a level where it is stable and ready to be manufactured into high-quality hardwood flooring. The kilns will be heated by two large biomass boilers, which will be fueled entirely by sawdust and wood residuals from Trout River’s kiln and flooring operations. In January-February 2014, total volume of lumber exports from Russia increased by 18.1% to 1.72 million tons year-over-year, as Federal Customs Service of Russia said in the press release received by Lesprom Network. The volume of Russian exports of roundwood for the reporting period amounted to 3.16 million cubic metres, (25.8% more than in the same period last year). Worth of roundwood export amounted to $289.6 million (+29.9%), lumber – $535.5 million (+15.9%). 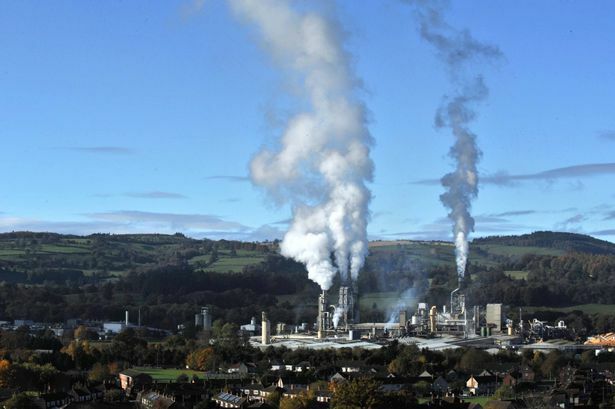 Wood panel firm Kronospan – which employs 600 workers – has fired a warning over the future of its Chirk plant with fears that biomass plants are fuelling a hike in UK timber prices. The company says the UK has seen a 10% rise in prices in the first quarter of 2014 and that they have doubled in 10 years. This has already halted exports as the plant struggles to compete with cheaper competitors in Central and Eastern Europe. Now there is “concern” that the UK market could be hit by an influx of cheaper imports that could damage Kronospan’s domestic market. The US may be set to significantly increase the amount of softwood it imports, following the launch of a new competition announced by the government yesterday (April 7th). Under the $1 million initiative, architects and construction firms will be encouraged to use timber as a structural material, in a move that will compliment a project from the Softwood Lumber Board (SLB). …Run by the Forest Service and in partnership with the Wood Product Council’s WoodWorks scheme, the initiative is set to provide training for architects, engineers and construction workers in how to effectively make use of advanced wood materials in multi-storey buildings. The 2014 Frame Australia Conference and Exhibition in Melbourne on May 19 will be all about ‘prefab timber and engineered wood in building construction’. As Architecture and Design recently reported, Frame admits that a timber construction revolution is currently underway across Australia, one that is seeing builders change from traditional steel and concrete construction materials to timber panel systems for medium and high density residential buildings. Forest companies are harvesting less dead pine while increasing their green timber harvests in some Interior regions hardest hit by the mountain pine beetle, according to a Forest Practices Board report. The report, released last week by the independent forest watchdog, raises concerns that there will not be as much timber as expected when the beetle salvage program is over. The switch to harvesting living trees rather than dead pine trees shows there is a “rapidly changing situation” in the Interior pine forests, according to Timber Harvesting in Beetle-Affected Areas: Is It Meeting Government’s Expectations? Forest and range practices on provincial land in BC are regulated by the Forest and Range Practices Act and the Wildfire Act. One way these laws are enforced is through the use of administrative penalties, which are issued by government officials, rather than by the courts. They provide an efficient way to enforce legislation, if appropriately used. Compared to the court process, administrative penalties can be faster and are less formal. Also, decisions are made by officials who are familiar with the forestry context, rather than by judges, who may not be. 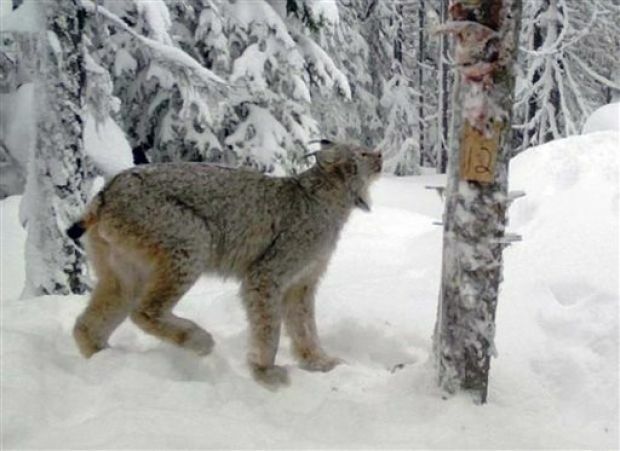 BOISE, Idaho — Three environmental groups plan to file a federal lawsuit if Idaho doesn’t address incidental trapping of federally protected Canada lynx. The groups sent a letter Monday to Idaho Gov. C.L. “Butch” Otter as well as Idaho Department of Fish Game officials. The state has 60 days to respond. Western Watersheds Project, the Center for Biological Diversity and Friends of the Clearwater contend that Idaho is violating the Endangered Species Act by allowing recreational trapping for bobcats that has led to the capture of three lynx in the last two years. The Helena National Forest announced Tuesday that it plans to move forward with a forest restoration project aimed at protecting 80 percent of Helena’s water supply. The Forest Service will proceed with the Red Mountain Flume Chessman Reservoir Project immediately after forest supervisor William Avey announced the decision and finding of no significant impact to the Ten Mile watershed. 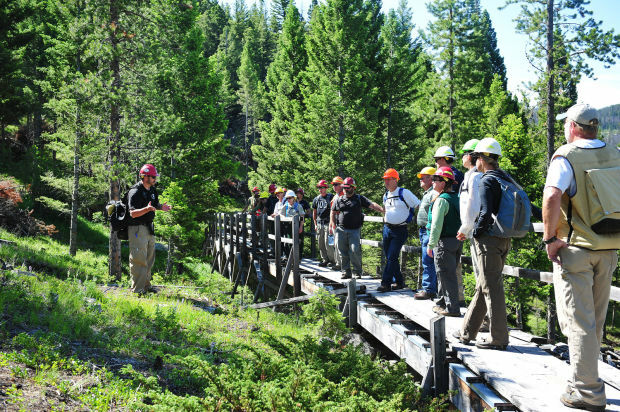 The project could take up to eight years to complete, and is part of a partnership between the Forest Service and Natural Resources Conservation Service to improve the health of forests on both public and private lands. Salem resident Laura Lesher has been honored with an Urban & Community Forestry Award. The awards, presented annually by the volunteer group Oregon Community Trees, recognize outstanding individuals and organizations for leadership and accomplishments in advancing urban and community forestry projects. Lesher has served on the City of Salem’s Shade Tree Advisory Committee; the Oregon Community Trees board of directors, and is a Community Tree Management Institute graduate. A helicopter hired to spray herbicides in Curry County last fall allowed chemicals to get onto neighboring properties and violated pesticide laws, according to an Oregon Department of Agriculture investigation announced Tuesday. The state says it was unable to draw a direct connection between trace amounts of two herbicides found in samples on residences near Gold Beach, Ore., and the Pacific Air Research helicopter applying six herbicides and crop oil that day to nearby timberland that was recently logged, but it has ruled out all other sources of herbicides, investigators said. The U.S. Department of Agriculture’s (USDA) Animal and Plant Health Inspection Service (APHIS) together with the Massachusetts Department of Conservation and Recreation (DCR) has announced its 2014 priorities in eradicating the Asian longhorned beetle (ALB) from Worcester County, Massachusetts. Foresters from the state Department of Conservation and Recreation will be setting out traps for Asian long horned beetles in Holden some time in June. Some good news from the world of invasive species, for a change. This winter’s deep freeze may have been a blessing for Kentucky hemlock trees that have been under attack from a tiny insect pest called the woolly adelgid, a sap-sucking insect from Asia that’s devastated forests from Massachusetts to North Carolina. There was earlier speculation in Watchdog Earth that the cold winter across the eastern United States just would not be cold enough, long enough, to severely hamper any of the big invasive tree pests that are remaking the landscape, including the Hemlock woolly adelgid. MOST of the native forest that was set for permanent protection under the Tasmanian forest peace deal will instead be opened up for logging, the State Government has announced. But Resources Minister Paul Harriss said any logging of the 400,000ha would be deferred for six years so as not to threaten a current bid by Forestry Tasmania to achieve certification from the Forest Stewardship Council and to allow the industry a chance to rebuild. Crown research institute Scion and Bay of Plenty Regional Council have entered a partnership aimed at pushing forward innovation in the forestry and wood processing industries. Scion successfully bid for funding through the council’s inaugural regional infrastructure fund, receiving $2.5 million to build a dedicated centre. The regional council says the project to be built at Te Papa Tipu Innovation Park has potential to provide a significant economic boost to the wider region. Illegal activity in Mozambique’s forestry industry has increased alongside a surge in Chinese demand for Mozambican timber, leading to negative effects for the industry and for the sustainability of Mozambique’s forests. But this could help spur positive changes to the country’s timber and trade policies, researchers say. …Over the long term, the researchers said, Mozambique needs to weigh the economic benefit of its international timber trade against the ecological effects of logging as it is currently practiced, and find new ways to generate income from the sector without damaging the natural resource base and the local environment. PLANS to rush legislation into State Parliament to tear up the forestry peace deal next month have alarmed the forestry industry and dismayed environmentalists. The new Liberal government is drafting legislation to reclassify 400,000 hectares of forests earmarked for protection to allow logging in future. However, those controversial forests will remain under the Environment Department’s control and won’t be harvested for at least six years. 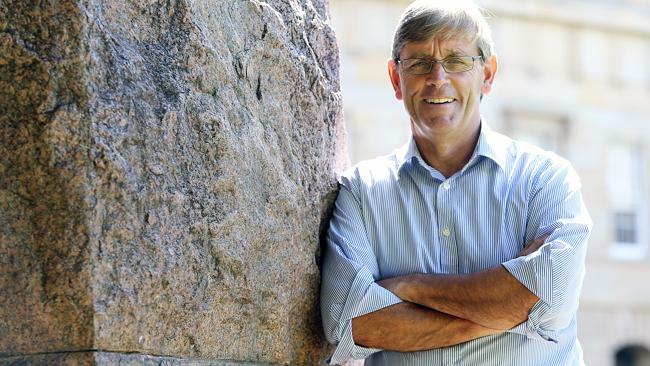 Resources Minister Paul Harriss said yesterday that it was an “elegant solution” that would enable Forestry Tasmania to pursue crucial Forest Stewardship Council certification and give industry certainty to invest. A 5,000-year-old cypress tree said to have been planted by Huangdi, the “Yellow Emperor” considered the common ancestor of all Chinese, has been cloned, scientists said last week. Created using asexual reproduction methods such as cuttage and grafting, eight saplings of the ancient cypress tree are growing well, said Jiang Zeping, a researcher with the Chinese Academy of Forestry. The baby trees were moved from nutrition cups to bigger pots for growth in a greenhouse on Jan. 8, said Jiang. One of the greatest threats to replanted forests in this country is the pine weevil. Traditionally it has been treated with the active ingredient cypermethrin, but if this chemical is banned by EU regulators, how will forestry owners control this pest? This is an increasingly worrying question for foresters. The large pine weevil is widespread in mature forests but there they feed in the canopy without causing any significant damage. The problems occur following replanting of clear-felled sites. …Nematodes are considered to be ideal biological control agents. …Dr Griffin is cautiously optimistic that the NUI Maynooth research will yield results. Let’s hope that we will soon be ordering nematodes when tackling our pine weevil problem. Tasmania’s new Resources Minister is disputing claims certification of the state’s forests could be jeopardised if the peace deal is repealed. The Government yesterday outlined plans to dismantle the deal by moving to unlock 400,000 hectares of protected forests for logging in six years. The chief auditor from the Forest Stewardship Council (FSC) Robert Hrubes says that could affect the status of any certified forests. Forestry Tasmania is working towards securing environmental certification for a total of 900,000 hectares. A company from California has won the harvesting rights to a large wood supply in central Newfoundland that once belonged to Abitibi-Bowater. CBC News has learned that Rentech now has ownership of the 280,000 cubic metres of wood that once belonged to the former newsprint producer, which shut down its Grand Falls-Windsor mill in early 2009. 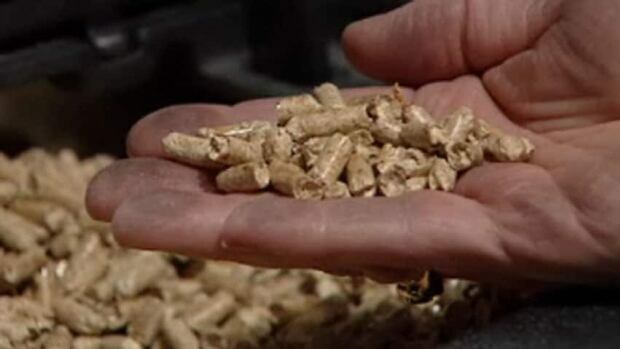 Rentech, mainly a fertilizer company in the U.S., is looking into producing wood pellets in Canada. A new study asserts that increased forest harvest could reduce global carbon emissions by up to 31 percent. Using more wood and less steel and concrete in building construction would noticeably reduce global carbon dioxide emissions and fossil fuel consumption, according to a new study from Yale School of Forestry and Environmental Studies and the University of Washington’s College of the Environment. …global infrastructure such as buildings, bridges, and other construction projects is expected to triple by 2050, the study sought to examine how an increase in the use of wood in these projects would affect CO2 emissions and global biodiversity. They compared the practice of minimizing forest harvest in order to store CO2 in the forest and protect biodiversity through preservation to the practice of using solid wood products and wood-fueled energy to avoid carbon emissions from substitute materials such as concrete and steel while protecting biodiversity through forest harvest and management. The world’s arid areas — deserts filled with scrubby vegetation and sand — are absorbing more of the carbon dioxide that’s being emitted into the atmosphere than expected, a new study shows. This study suggests deserts could play an increasingly important role in mitigating climate change due to their large geographic presence. …researchers at Washington State University say deserts and other arid ecosystems are adept at soaking up excess CO2. In a recent study, published in the journal Nature Climate Change, researchers found that the sands and small plants of dry climes can do a surprisingly good job of absorbing carbon dioxide. …the brush of arid ecosystems mostly stores excess carbon dioxide in the microorganism-rich soil around its roots. Based on a basic chemical discovery by scientists at Oregon State University, it seems that trees may well soon play a main part in making high-tech energy storage devices. OSU chemists have found that cellulose – the most abundant organic polymer on Earth and a important element of trees – can be heated in a furnace in the presence of ammonia, and turned into the creating blocks for supercapacitors. “We’re going to take low cost wood and turn it into a beneficial high-tech solution,” he stated. Nearly 21,000 tons of damaged timber and woody debris utilized for renewable energy in lieu of storm-related wood being sent to landfills. Ameresco, Inc., a leading energy efficiency and renewable energy company, announced today that its biomass cogeneration facility located at the U.S. Department of Energy Savannah River Site in Aiken, South Carolina, … is utilizing storm-damaged timber as a result of the major ice storm which impacted the U.S. southern region February 2014. “Utilizing the storm debris not only benefits the region and community’s critical clean-up initiatives but affords a positive environmental solution to keep the woody debris out of landfills and power the plant with renewable fuel,” said Dr. Moody …Ameresco estimates that it will convert over 30,000 tons of storm-damaged wood into renewable power at SRS this year. The recently released IPCC report only serves to remind us that our duty to humankind demands a greater sense of urgency. But any policy response can bring risks to people or the environment, and the costs of dealing with the consequences can be far greater than avoiding them. Forest nations should take note as they prepare to engage with REDD+, a scheme being negotiated at the UN climate change talks to financially reward countries for reducing greenhouse gases from deforestation and forest degradation.